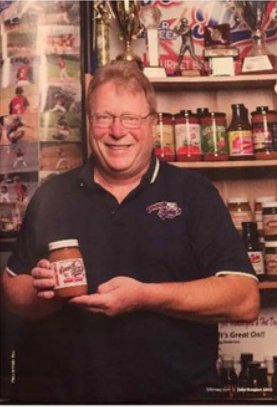 Spencerport resident Tony Perry has been making and sharing his meat hot sauce for years and he has had countless requests to retail his sauce. Perry enjoyed the process of making the sauce but was apprehensive about marketing it until a friend convinced him that the sauce was too good not to be available to the public. 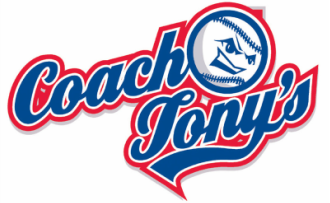 ​A year and a half later, while juggling the responsibilities of being a husband, father of two, a baseball coach and a junior college baseball coach for Finger Lakes Community College, Perry decided the time was right to begin marketing his sauce. In October 2004, after completing studies at Cornell University, Perry began remodeling a building in Bergen, NY to package the hot sauce. Jamie Lloyd, who has enjoyed Perry's sauce for years, along with some other friends, helped with the construction. ​The facility, Perry said, is one of only six USDA cannery manufacturing plants in New York State. The facility allows the opportunity for Perry to develop shelf-stable products for businesses and individuals.